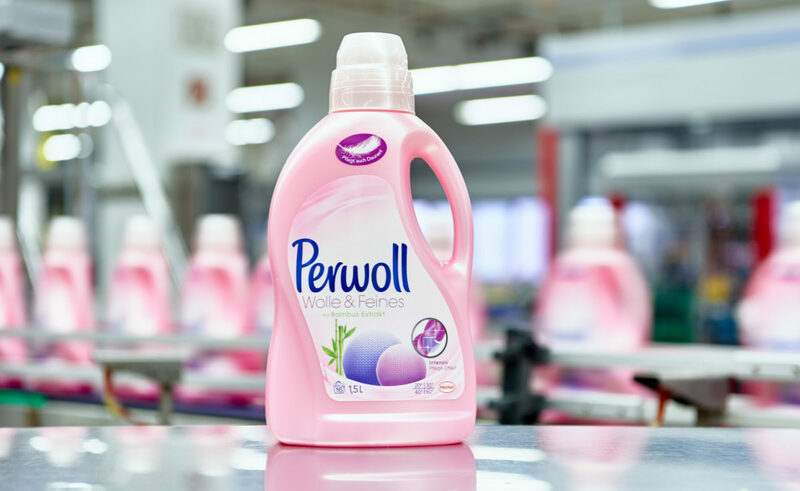 For the first time, 60,000 bottles of the laundry detergent Perwoll Wool & Delicates were produced with recycled HDPE (high density polyethylene) sourced from packaging household waste in Germany. After a developmental period of two years, together with our partners along the whole value chain, Henkel succeeded in producing a detergent bottle with recycled material that meets all requirements in terms of aesthetics and the scent of the packaging. For this project, a new supply chain was developed. Used packaging made of polyethylene are sorted out of the packaging waste, are cleaned and processed into a high-quality, recycled plastic raw material (HDPE granulate). In the next step, the recycled material is converted into the detergent bottle. Thus, this project is an example how the circular economy concept can be realised for packaging for premium products. The development of a closed-loop recycling process for HDPE packaging is an important step towards a circular economy. By gathering packaging material out of the consumer waste, processing it into high-quality granulates and then reintegrating it into the production process of new packaging, resources are saved. This projects proves that sustainability and premium products do not contradict each other. By improving of the quality of recycled material in future, a further increase in the recycled material share is feasible and is also our target. Perwoll Wolle & Feines were produced in 2016 with 15% recycled material.The new share of recycled content is 20% HDPE. Recycled materials often have different properties compared to virgin resins. Contamination in the waste stream are leading to changes in color and odor. For the moment, most of the commercially available recycled materials come in dark / greyish colors and with a malodor. In order to establish a wide use of recycled materials, a market has to be developed which provides recycled materials that are in terms of quality, quantity and costs not inferior to virgin resins.